Those of you prepping to start a fashion or beauty brand, or are in the early stages of market presence, must be conscious of trademark compliance issues. Many brands have found themselves in trouble for use of similar naming or product presentation. Knowing better should help you avoid these situations. 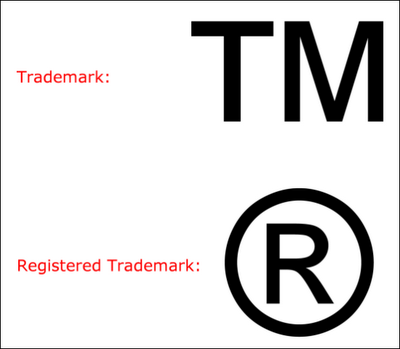 The fundamental element in trademark analysis is the likelihood of confusion on the part of consumers. As we learned with the Louboutin v. YSL case, the way you dress your brand in the market will be what consumers use to indentify sourcing. Protecting this is everything. · They never wear out. Think about Chanel, Louis Vuitton, and more. Those trademarks have crossed centuries! o Over-saturation can become an issue with exclusivity, but price will be the main way to keep certain buyers out. You want everyone to know and recognize your brand. Place it where you can. · They cannot exist or be protected apart from actual use because, without use, the mark cannot perform its function of identifying the products or services of a particular source and differentiating them from the products or services of others. o This happens when licensing goes unsupervised. 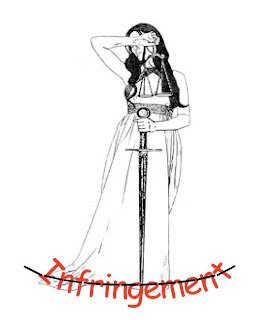 A person or entity with the permission to use your trademark has abused their privilege, and lean on the fact they have a license. *Be careful and thoughtful in what you include in the license for use! You always want people wearing your mark in the right way. 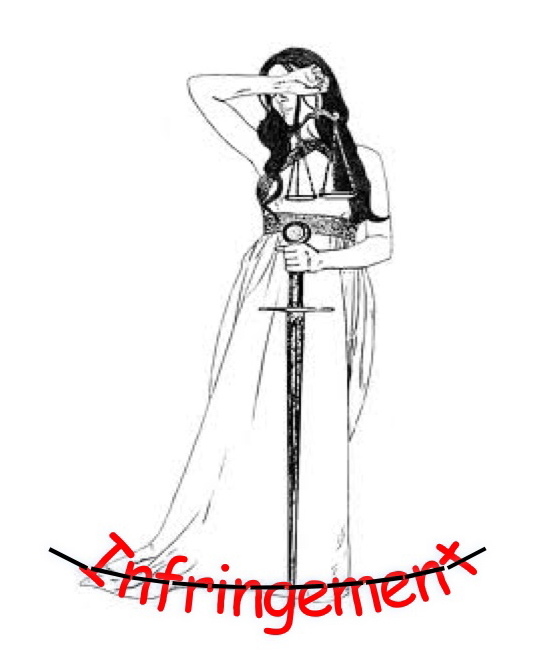 o This is getting easier for owners and harder for infringers. With social media being such a major part of marketing and promotion, owners should be vigilant about where they are placing their mark. The more places it appears by you, the better. What becomes tough is the scope of the internet and its wide reach. Policing your mark across the entire world wide web can be a challenge, but it is so necessary to protect yourself. Using Google Alerts can be very helpful. o A mark can be considered invalid if the paperwork has not been filed, fees haven’t been maintained, or it was registered fraudulently. Remember, the best marks are used in the market and gain recognition prior to applying for federal registration. 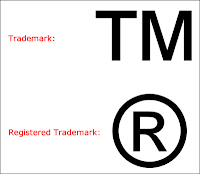 You can use the “TM” in the corner, or well-positioned place on your mark to alert others it is protected as your brand identifier. o Be certain you have able legal counsel around to help you with filing and keeping your mark in good standing. Hopefully these tips are helpful to you. 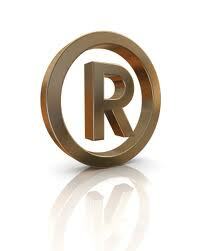 Stay tuned for reasons federal registration is good for your brand. Have a party or event you need decorated in style? Of course you do! Check out Ideal Parties. 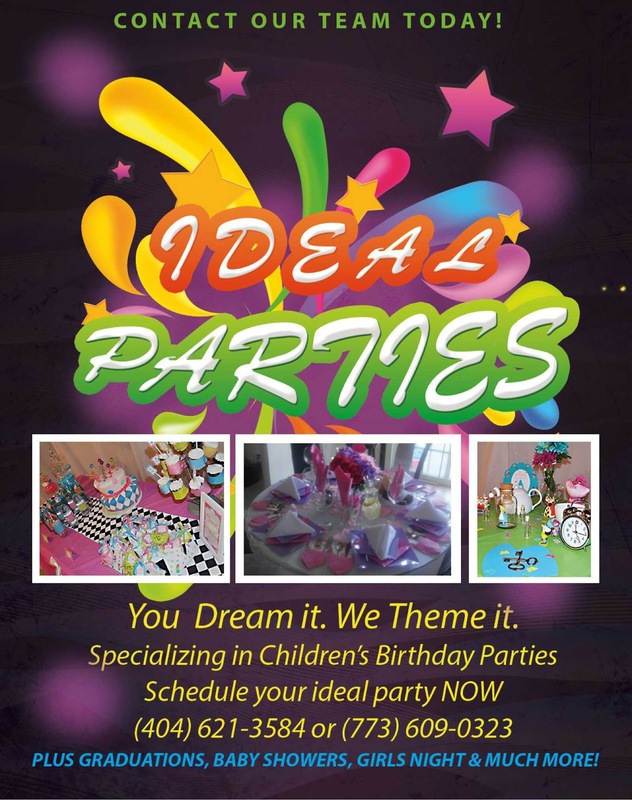 You can follow them on Instagram: IdealParties and Facebook at facebook.com/IdealParties.Decor! Your event will never look better. Vau've Davis of Official Anais PR! When it comes to public relations, Official Anais is a must-have. V (because we love "V" names) has done an amazing job putting her clients in the right settings, promoting and perfecting their brands, but also--and most importantly, giving back to the community. 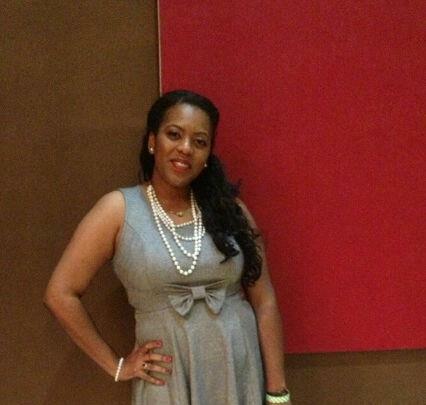 She was even recognized by Black Celebrity Giving as 2013 Best Non-profit PR and Event Planning Firm. This was no shock, though. How did you come up with the name Official Anais? My name is Vau’ve Anais Davis, as our motto states, "Build your BRAND, start a LEGACY", I found including my name in my company would be the start to doing so. You gain great branding strength with including parts of you in the things you do. What made you want to create a PR firm? I've always been deemed as the "connector", and public relations are ALL about relationships. I love to connect people/clients with resources to help them build their brand. I also wanted to provide an opportunity for writers to start on their journey to building their own legacy by giving them an opportunity to write in the field of their interest. What is your target client base? I work most with entrepreneurs, small businesses, and non-profits. What inspires the work you do? I'm inspired by those who work hard and produce RESULTS. I'm inspired by my mother who did whatever it took to make things happen. I'm inspired daily by those who give back. I'm inspired by growth. I'm inspired by a passion to leave a legacy. I'm most inspired by those who I bless; I truly feel that God has me here to be a blessing to people in various ways. What sets your firm apart from the others? Our purpose truly sets us apart, thankfully as an entrepreneur; there is room for everyone to create their own lane. Unlike the Corporate world where there are set guidelines to follow. 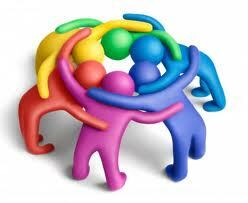 My firm is much different than other public relations firms because we are passionate and very hands on. We pride ourselves in our professionalism, positive community engagement, and passion to help build brands. My work ethic and my giving spirit set me apart from many, within and outside my field of work. Both can take you a long way in business. What else is going on in your life in addition to Official Anais? 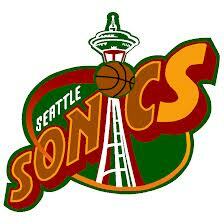 I'm looking to further my personal brand in 2013. Official Anais is just one facet of the "Vau've" brand. Timing is key. I've been approached with some different projects that I think may help me develop my personal brand. My personal brand is rooted in community service, but I will be branching out. I've been invited to blog, co-host a radio show along with a few other things. I'm excited. In PR we often get so caught up with our clients we can sometimes lose sight that we too have a vision. What are some of the tools you use to build brand recognition? I've found great success in hosting events to build brand recognition for Official Anais PR and clients. I also look for "out the box" ways to meet that objective without going off course. It can be through various mediums given how the dynamics of PR/media are constantly changing. Have you encountered any legal issues with your firm? What's next for Official Anais? We just won the Black Celebrity Giving Annual Award for best "Non-Profit PR and Event Planning Firm”. This was truly a surprise to find out we were nominated among fellow PR professionals who have been working in this field 20 plus years. I see it as an affirmation that the work we do has reach and it’s recognized. I’m looking to expand Official Anais PR into a greater platform for those looking to expand their brand. I’m always looking for creative ways to build brand awareness. We will definitely continue to network out of state and out of the country. When people think about Official Anais, they should think of...? Official Anais PR is a firm that uses blessings to be a blessing. Whether you are in a corporate lane, an entrepreneur etc., there is NOTHING that says you have to limit your spiritual gifts. 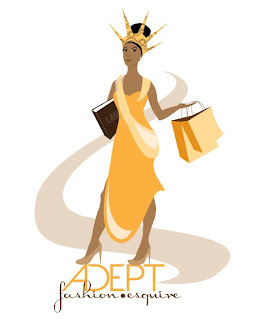 Official Anais PR encourages everyone to use their time, talent or treasure to give back. Some say YOU can’t eat by always ‘feeding’ others but we strongly believe God is a provider. The more you use your blessings (resources, talent, brand) to bless (help, encourage) others the more you will find your vision will manifest. Vau've is awesome, and we're so excited to see what she brings us in 2013. We'll be watching and participating for sure! 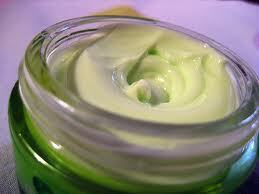 Top 5 Beauty Products You Can Make at Home! Ladies, have you ever been standing before your make-up and realize you have too much of one thing and not enough of another? Do you need something instantly, but are supposed to be 10 minutes from running out the door? And someone is rushing you? Well, we have some great solutions for your troubles, with all the answers right inside your cabinets! If you need a face mask in a flash, or aren’t sure which brand to buy, make your own! With a mixture of baking soda and water, you can create a face mask which will not only clear pores, but soften skin as well. Add 1 part water to 2 parts baking soda (or to a consistency of your liking) and apply to your face evenly. Let stand for about 10 minutes as rinse off. Your face will feel great! You can also use this as an acne spot treatment to dry out troublesome blemishes. Egg whites make great masks, too! The face is sometimes left with dark spots after blemishes or other harsh encounters. Vitamin C is great for this, and if you have a cleanser with the ingredient, you’re on the right track! But, if you don’t, you can use lemon juice. Put a dab of lemon juice on a cotton ball or Q-tip and apply to the spots. The vitamin C will help get the tone of your skin even again. If you’re out of bronzer, or just want a different look, mix cinnamon and baby powder to create your own. It’s quick and easy, and you can control the pigment to your desire. This one is a fashionista fave for sure. We all love lip gloss, and now we can make our own! If you have some spare eye shadows…and we know you do…add them to Vaseline or Aquaphor to create the color you like. The shadow will give you the perfect color, and the Vaseline or Aquaphor will give you moisture. What more could you ask for?! 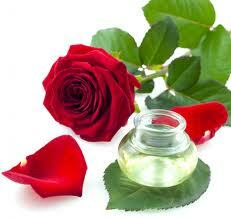 If you have roses around which are nearing the end of their life span, use the petals, mixed with hot water as a toner! Let the mix sit for 20 minutes, and not only get clearer pores, but a make-up setting tool as well. Always wash your face with warm water, and rinse with cold. The cold closes your pores and lock moisture in. You can also rub an ice cube over your face for the same result. Exfoliate at least 1x a week. Twice is better, but not much more. The granules in exfoliators remove dead skin, leaving the skin soft, but too much will be too harsh. Remember, the skin on your face is quite sensitive. Protect with SPF, minimum 30. Even if you don’t live in the warmest climate or have tanning in your daily schedule, you still need protection from the UV rays of the sun. Most moisturizers have SPF in them these days. Make certain yours does. Pat your moisturizer on as much or more than you rub it. It helps the skin absorb it better. Love what you see in the mirror. You’re the only you we’ve got! Are You Fighting a Cold or the Flu? With cold and flu season currently in full swing, it can be challenging to keep illness at bay for yourself and your family. Even those who get a flu shot have no guarantee of not getting sick. More and more, people are seeking out natural alternatives and additional things that can be done to keep healthy. Peter Harvey of Eastern Healing, 2531 Division St., Suite 101, in Joliet takes a holistic approach to the overall health of his patients. "Chinese medicine is pretty much the grandfather of holistic medicine in how we approach the body," Harvey said. "We take a look at everything; you as a person, all signs and symptoms of what’s going on including factors like environment, stress, climate and diet. "We figure out what’s causing it, then we make suggestions along all those lines to help you live better." The first step is to look at nutrition. “The first thing we always recommend to people is eating a specific kind of diet that is very high in all types of vegetables in every color of the rainbow, this includes fruits and a lot of garlic," Harvey said. Harvey is a NCCAOM-certified, licensed acupuncturist and a trained herbalist with a master of science in Oriental Medicine (MSOM). Traditional Chinese Medicine utilizes a combination of nutrition, acupuncture, herbal medicine, exercise, and massage, with much of its focus on prevention and the balancing of overall health. Maintaining a healthy immune system is a cornerstone of well balanced health and is one of the best ways to avoid catching a cold or flu virus. “Chinese herbal formulas are great for cold and flu symptoms," Harvey said. "Some of the herbals that we use have antiviral and antibacterial properties to them." Harvey creates tinctures designed specifically to strengthen the immune system as well as different cold and flu herbal formulas for his patients. He said they approach colds and the flu differently. “If someone has a high fever, you want to cool it down, vent the heat out of the body, give them cooling herbs; versus someone who has a cold you want to do the opposite you want to chase the pathogen out of the exterior of the body so we use warm acrid type herbs for that,” he said. "It is important to remember that both cold and flu can go into the lungs and lead to secondary infections like pneumonia if left untreated." In addition to treating the infection with herbs and food, Harvey reccomends acupuncture. “We recommend some acupuncture too because it helps treat a lot of the secondary symptoms, like clogged sinuses –it helps your breathing a little bit better,” he said. Take a couple thousand milligrams a day of vitamin C, cod liver oil, and a good probiotic. These are all really good for strengthening your immune system throughout fall and winter. Stay away from dairy, orange juice, and sugar in your diet. Sugar retards the immune system and dairy creates phlegm, which is a host for bacteria and can lead to a lot of other problems. Have the orange instead of the orange juice. 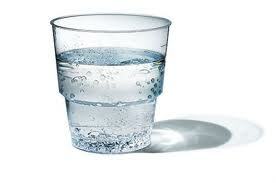 Drink a lot of water, a lot of green tea, and honey which is really good for coating the throat. Increase your intake of mushrooms - like shitake and maitaki mushrooms, which increase healthy cell activity. Get a lot of berries into your diet, they are loaded with phyto-nutrients and chemicals that really protect you and strengthen you. If you start to feel like you are getting sick and you have other people in the house with you, especially babies or younger kids who you don’t want to get sick, boil a pot of water with a little bit of vinegar in it. Bring it down to a simmer adding a little more vinegar as the level drops down. That will sanitize and kill viruses in the air. Make a simple tea with a few slices of fresh ginger and a cup of water along with the white part of a scallion (chopped). Boil it all in a pot for a few minutes and drink it as a tea. This is a good way to start warming up the body and getting rid of the chill. Want the latest in breaking news throughout Will County? Sign up for our free daily newsletter and breaking news alerts. Click here for more great stories by Dulcinea Hawksworth! She's amazing! 84 years ago today, our world changed. Dr. Martin Luther King, Jr. was born and changed the world forever. 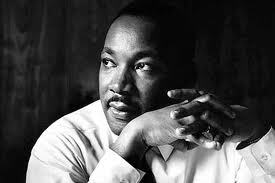 King made endless sacrifices, taught all who would listen, and effected change in the greatest ways. He organized communities in every city he lived-- Birmingham, Memphis, Chicago, and more-- while setting an example for all those watching. The King changed the struggles of America, and showed us what true love, dreams, determination, and strength are about. Today we honor Dr. King. We not only admire his work, but his dream of love and service to one another. Reach out to someone today, and keep the dream alive. Share yourself, your talents, and strive to make a difference in the world around you. Not just today, but everyday. He did. "Everybody can be great, because everyone can serve." - Dr. Martin Luther King, Jr.
Today we also honor the women of Alpha Kappa Alpha Sorority, Incorporated. As a proud member of this premier organization, I am always excited to honor the sisterhood which means so much to me. Ms. Ethel Hedgeman Lyle at Howard University in 1908, and 19 other leading women, started what has become more than a young girl's dream, but a fixture in our communities. 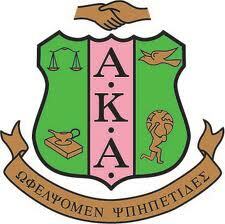 AKA has personified sisterhood, service, education, and leadership-- day after day for 105 years. This organization set the tone for later sororities to come, and continues to be a beacon in communities across the globe. 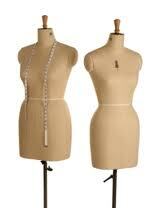 We thank the 20 Pearls (founders) for their example, and do our best to continue living the purpose. Fashion Delivers recently held a PopUp shop of donated new fashion for Staten Island Sandy victims. In their true form, Fashion Delivers made a hardship look and feel amazing, turning the darkness of a tragedy into a spirited event. Christmas. An extensive network of elected officials, community supporters, companies and 150 volunteers also pitched in to help 3,000 people in need have a better holiday with nearly $6 million worth of donated new merchandise. More than 100 companies -- including industry leaders Armani Exchange, Hanesbrands, Burlington Coat Factory, G-III Apparel Group, Uniqlo, ABS by Allen Schwartz, Skechers, Ben Sherman, Nine West, The Jones Group and many others -- donated approximately $6 million worth of new products (more than 250,000 items) for Staten Island victims of Hurricane Sandy. The idea for the pop-up event came from Trade Show and Event Producer, Charles Garone, after seeing a Facebook post late November, stating that Hurricane Sandy victims are in desperate need of many things, but not old clothes. This event was a great example of the fashion industry's compassion in helping one of the communities hardest hit by Sandy. We continue to work with Staten Island and other NY and NJ communities to help Sandy vicitims rebuild their lives. Check out these great pictures from the event! 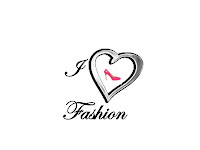 We appreciate Fashion Delivers for sharing the news. Keep it coming! 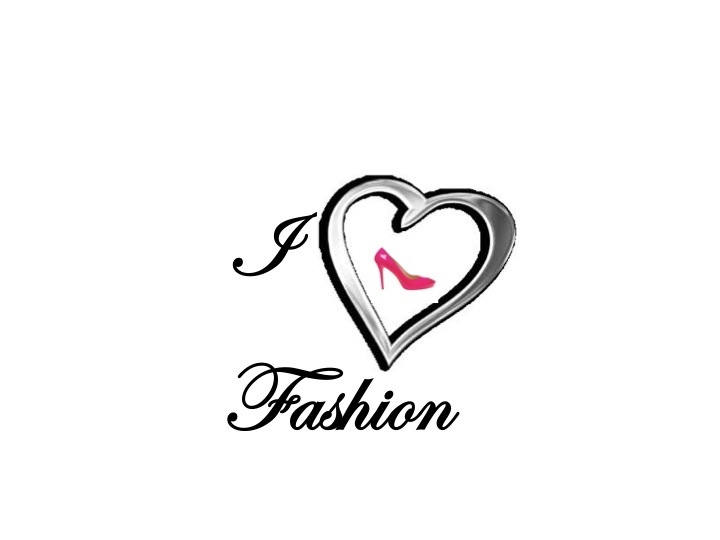 Do you have a fashion line people need to know about? 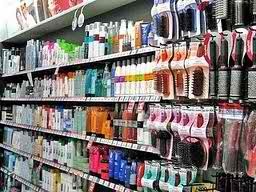 Are you the brains behind a beauty brand consumers are missing out on? Share your info with us! Send us your brand info (links, photos, and contact details) to us to be posted on our upcoming directories. There's no better way to get your name and brand out there, and keep it in motion, than to share the word with others. Can't wait for your contributions! Our Favorite Posts of 2012! We really enjoyed getting these to you, and hope you found them useful and entertaining as well. The Ladies of Fashion Law - It was SUCH and honor to do this piece! And don't forget a couple of our favorite features - B.A.F.F.L.E.D. Loves Chicago & Tuesday Tops!